As children explore, dirt and germs become part of life. 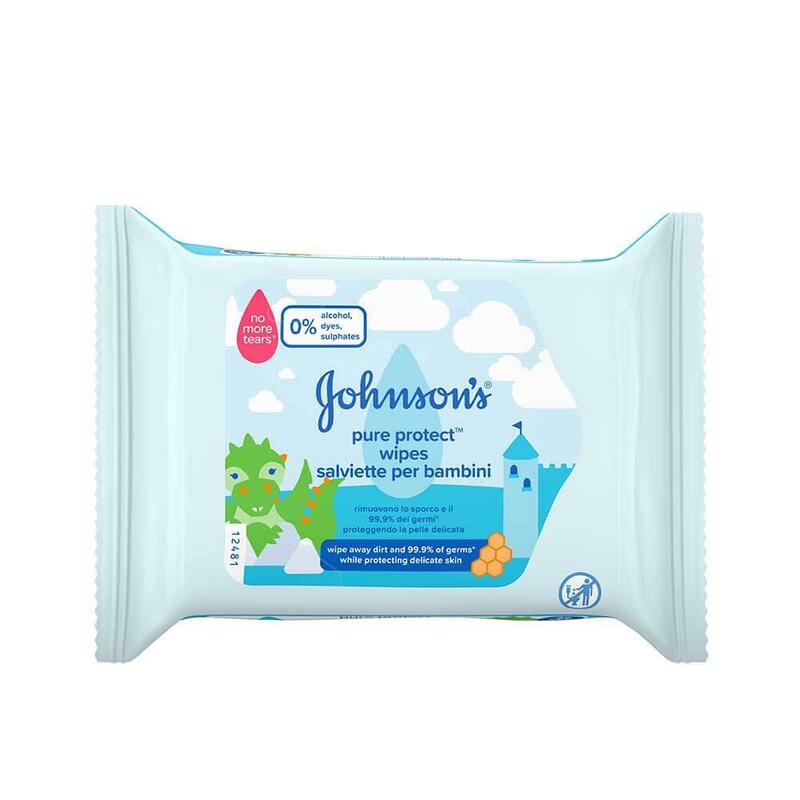 Since we know that children’s skin is still developing, we have specially formulated our Pure Protect wipes to wipe away dirt and up to 99.9% of germs* while still protecting delicate skin. It is enriched with a combination of natural ingredients, including honey, green tea, and rooibos extract and leaves skin feeling clean and healthy. * test performed with E. coli. 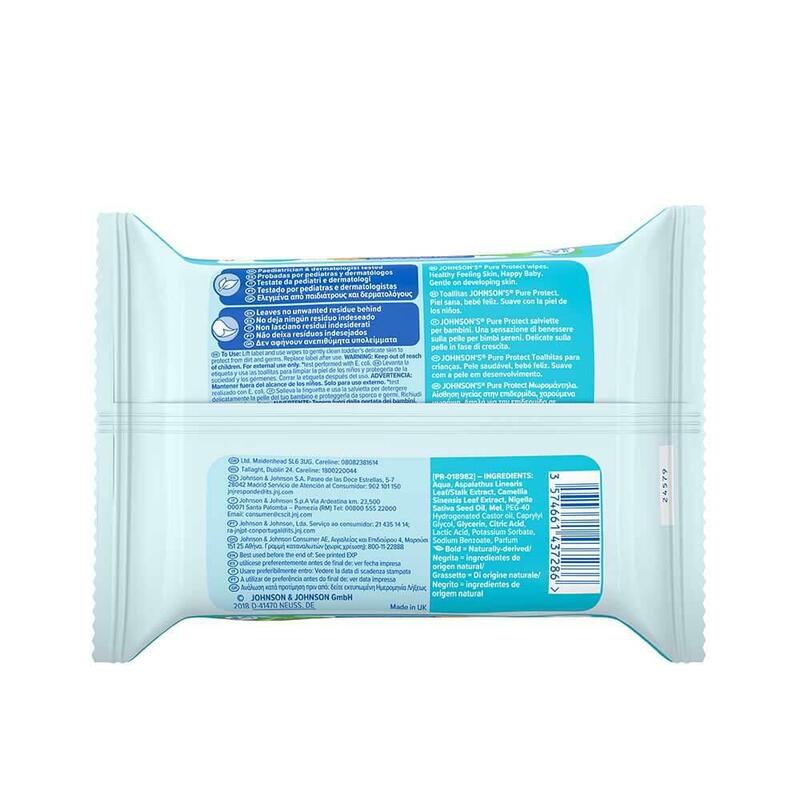 Lift label and use wipes to gently clean toddler’s delicate skin to protect from dirt and germs. Replace label after use.